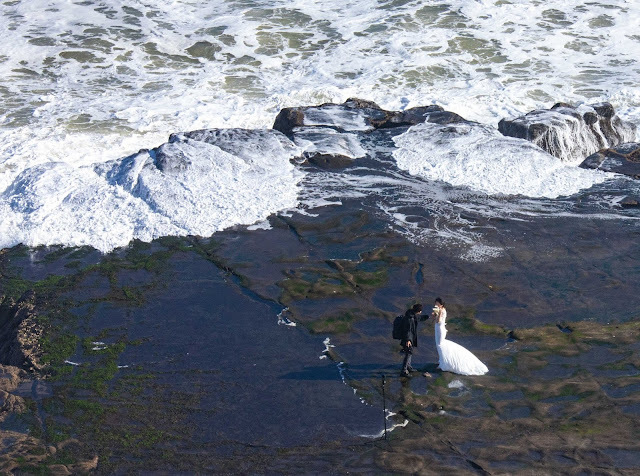 Always the popular location for wedding photo's even for the hardiest of souls - maybe it sounded like a good idea while planning six months ago in the Auckland heat. Congratulations to this bare footed bride and intrepid photographer in the freezing cold with a pretty decent wind blowing - and on an incoming tide. Note to photographer - there is a reason fishermen using this location wear life jackets.